The show took place at the 15,236 capacity Spectrum Center. 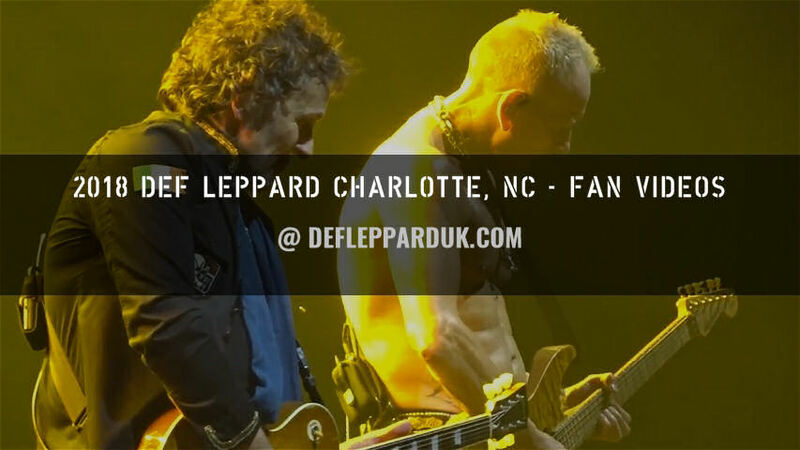 The band last played Charlotte on 30th June 2015 on the World Tour 2015. The 17th show by the band in this city and the first time at this venue which was opened in October 2005. 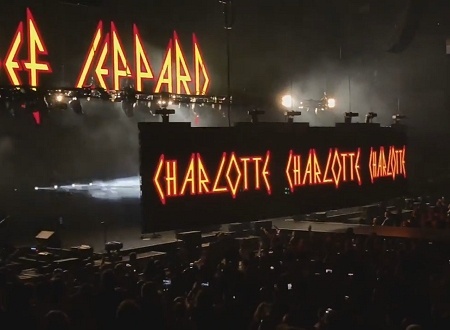 The first show here took place in September 1981 at Charlotte Coliseum with Blackfoot on the High 'n' Dry tour. They returned on the Pyromania tour as support to Billy Squier in March 1983. The first of three In the Round shows in the city at the same venue took place in December 1987 followed by a second Hysteria tour show in October 1988. The third In The Round in this city show took place in March 1993 on the Adrenalize tour. They would return again for another show on the same tour in September 1993 at Blockbuster Amphitheatre. Their first outdoor show here. This venue would then be played under three different names on all visit t Charlotte from September 1993 to June 2015. A total of 11 shows with the follow up visits taking place in 1996, 2000, 2003, 2006 (also with Journey), 2007, 2009, 2011, 2012, 2014 and 2015. Last night's sold out crowd were very enthusiastic as noted by Joe in his end of show speech. 'When Love & Hate Collide' and 'Man Enough' were played for the first time in Charlotte. 'Gods Of War' was not added into the set after it had been played during the Bristow soundcheck the day before. "Thank you. Thank you very much. Look at this f**king place. We see you guys right at the sides almost behind us. We know you're there. Thank you. How we doin'?. Hell of a noise you're making Charlotte. Can you make a little bit more?. Can you make a little bit more?. For the boy at the back. Stand up Rick Allen!. As ever, as ever he will introduce this one for ya." "Charlotte, North Carolina!. Thanks for having us. Thanks for coming. Thanks for being here. Until next time. Goodnight!." "Unbelievable!. Thank you. Thank you so much Charlotte. Real pleasure. Till next time. And there will be a next time!. Do us a big favour yeah. Don't forget us and we won't forget you. We love ya thank you. Goodnight." The next show takes place on 11th June in Philadelphia, PA. Played for the first time in Charlotte.